Sam Phillips opened the Memphis Recording Service -- "We Record Anything, Anywhere, Anytime" -- at 706 Union Ave. in Memphis on January 2, 1950. 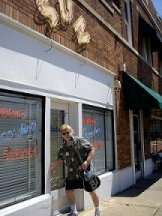 Attached to this storefront was Taylor's restaurant next door on the corner. Sam did many of the renovations himself, building three rooms: a reception office for secretary Marion Keisker at the front, a 18' by 33' recording studio, and a control room at the rear. Walls with a window and door separated each of the three rooms. 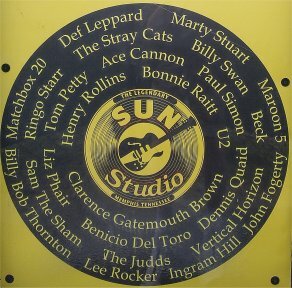 The studio was designed with a V-type ceiling covered with asbestos acoustic tiles. Prior to switching to magnetic tape in 1951 Sam did all of his recording directly to 16" acetate discs on a Presto 6N lathe and turntable. 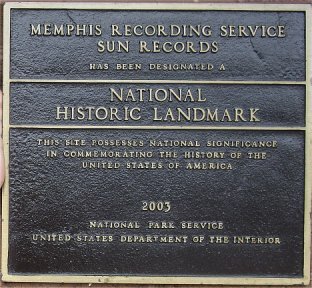 In the mid-'50s his landmark recordings were done on a RCA 76D broadcast mixing console with two Ampex 350 tape recorders - the second recorder used mainly to achieve his famous slapback echo. 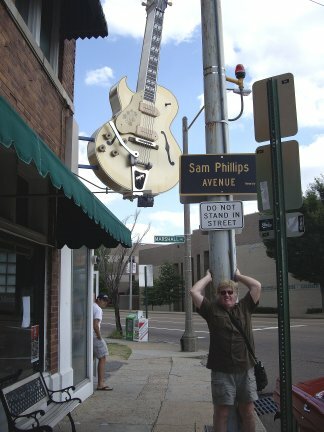 In the early '50s Sam recorded artists such as Junior Parker, Howlin Wolf, James Cotton, Rufus Thomas, Rosco Gordon, Little Milton, Bobby Blue Bland, and BB King -- mainly for labels like Chess and Modern. 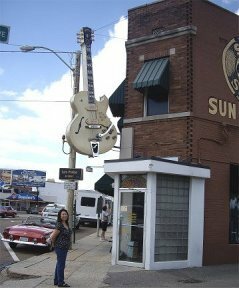 Jackie Brenston and Ike Turner are credited with recording the first rock 'n' roll song here -- "Rocket 88" -- in 1951. 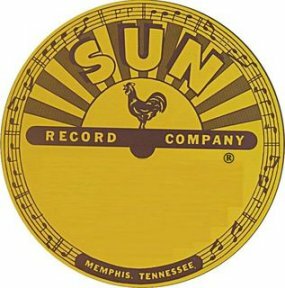 Sam's own label, Sun Record Company was launched in 1952. 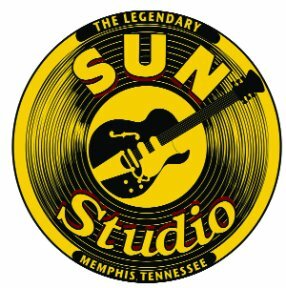 In 1953, 18-year-old Elvis Presley entered Memphis Recording Service to record a record for his mother. Sam wasn't too impressed. 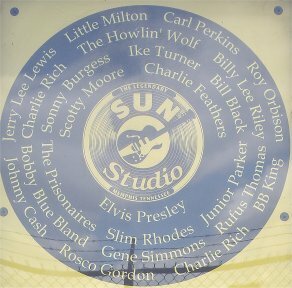 Scotty Moore and Bill Black were doing a lot of recording at Sun as the Starlite Wranglers and were in the market for a lead singer. Sam called them in on July 5 to accompany Elvis to see how he'd sound on tape. 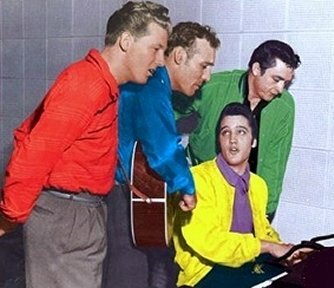 That turned into Elvis' first session. "That's Alright Mama" b/w "Blue Moon of Kentucky" was released on July 19, 1954. 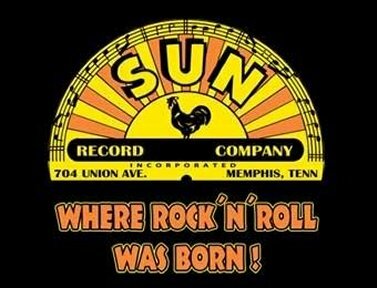 Sam sold Elvis' contract in November of 1955 and he concentrated on recording and promoting the other Sun artists. By 1960 he was working out of a new studio around the corner on Madison Ave. A series of other businesses moved into 706 Union and then it remained empty for many years. 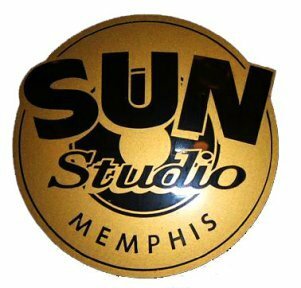 The old Sun building at 706 Union Ave. was restored for use as a studio in the mid '80s. 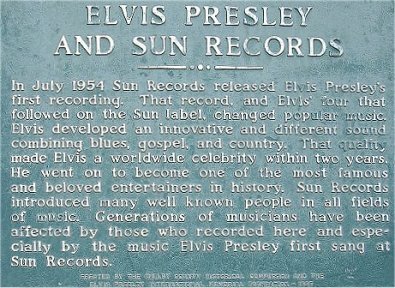 It is now on the National Register as a historic landmark and a favorite attraction for the many fans of Elvis, Johnny Cash, Jerry Lee Lewis, Carl Perkins, Roy Orbison, et al. 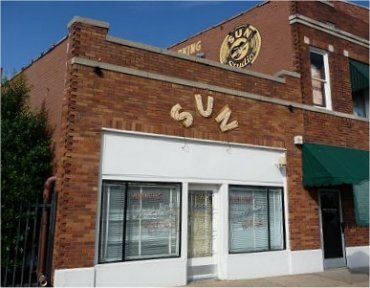 As well as offering tours of the original studio, the site now includes a soda and gift shop and Sun museum in the attached former restaurant building next door. 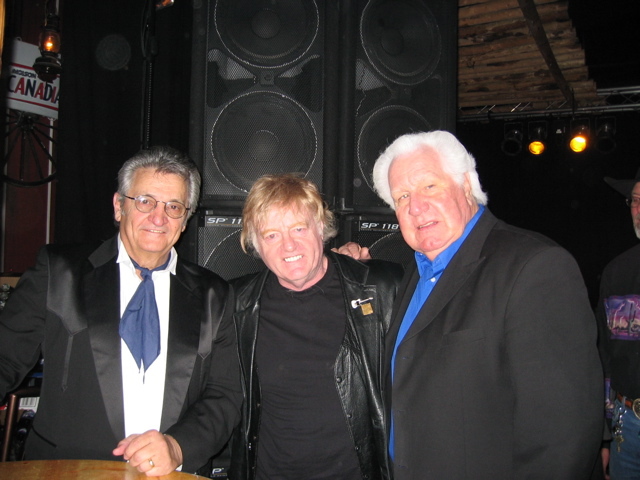 WS Holland was longtime drummer for Carl Perkins and Johnny Cash. 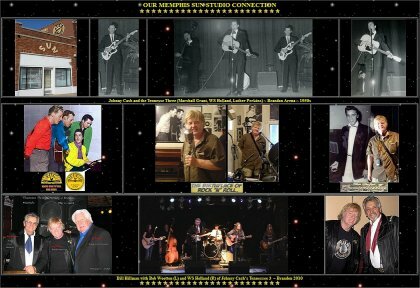 He played drums on a zillion hits including "Blue Suede Shoes" -- and he even played drums behind the famous 'Millionaire Quartet" Sun Session with Elvis, Johnny Cash, Carl Perkins and Jerry Lee Lewis. Bob Wootton played lead guitar behind Johnny Cash on all his shows and recordings after the death of Luther Perkins in 1968. 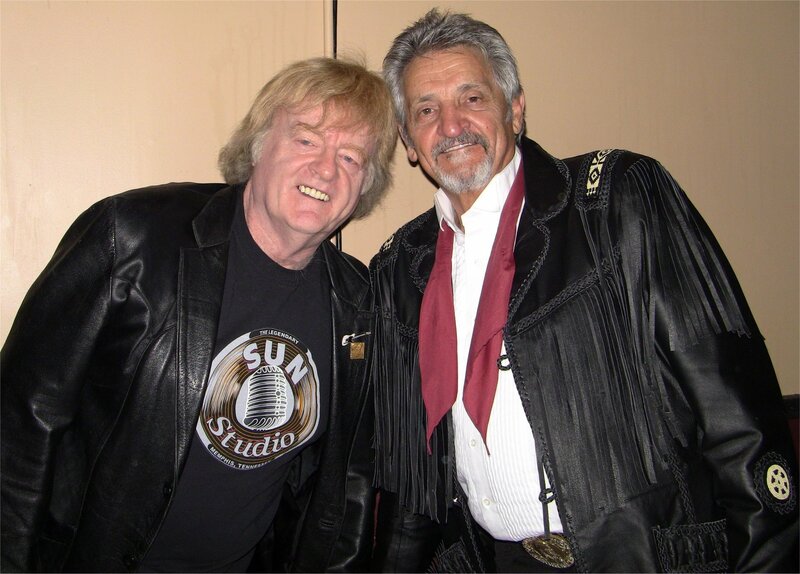 Bob carried on as leader of the Tennesse 3 after Johnny's death, doing amazing Cash-like vocals on all of Johnny's hits and taking Luther's famous guitar sounds to new heights. The Tennessee 3 still tours worldwide to packed houses.